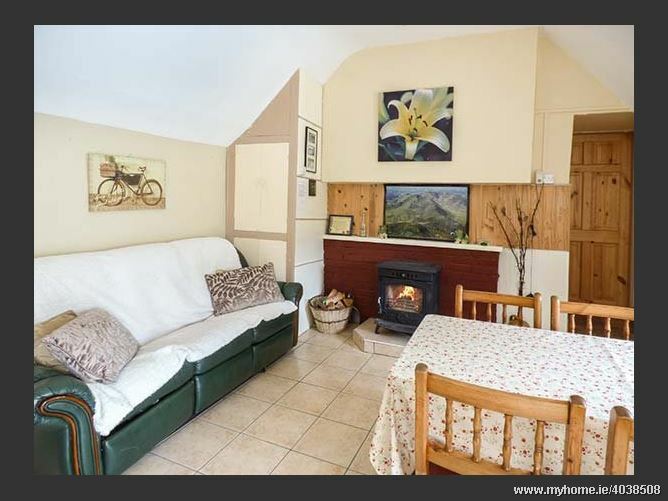 Situated in Black Valley, between Macgillycuddy's Reeks and the Killarney National Park is this lovely, traditional Irish cottage on the owner's farm. Set solely on the ground floor, the cottage has three bedrooms, including a twin and two doubles with additional single beds in each for added flexibility. There is a wet room with a walk-in shower, as well as a spacious sitting room with an electric fire, and an open plan living area with a kitchen, dining table and comfy seating for three by a woodburner. Outside is a paved yard with a picnic bench, and the owner's donkeys that are always happy to say hello! There is off road parking for two cars and the property is an excellent base for walking!